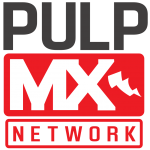 Pulpmx Geneva Supercross Live Pre and Post Race Show! This weekend Geneva Supecross will be going off with a two-night supercross with some big names. Justin Barcia, Justin Brayton, Malcolm Stewart, Christian Craig, Zach Osborne and more will battle it out to become the King of Geneva and the Pulpmx Show will be there to cover it all. 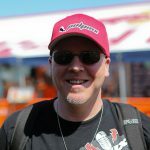 Starting around 9AM EST on Friday, November 30th you will go to Pulpmxshow.com to hear Steve Matthes and guests break down what happened in practice and look ahead to the race. Then about 20 min after the final main event of the night the Pulpmx Show will be back to recap what happened that night. We’ll have a bunch of riders, industry people and more join us for the hour to hear about all the action. All four shows will be archived and available on the Steve Matthes Show Feed soon after. Should be a great two nights of racing, see you over on Pulpmxshow.com the next two days to talk about it!